Halfway through my shift today, I returned to my little desk cubicle area in the Children’s Staff Workroom, looked at the to do list that I had scribbled onto a post-it, and realized….that I hadn’t accomplished anything. Now, this isn’t an unusual occurrence for me. Librarianship is just one of those careers where, sometimes, you just don’t get anything done that you had planned to do. And that’s okay! But as I was looking at my post-it to do list, I decided that I wanted to get SOMETHING accomplished. So I decided to plan next week’s preschool storytime. Earlier in the day, I had considered doing an elephant theme for storytime. I had pulled two books, and was thinking about that 5 Elephants Came Out to Play song, but, really, my heart wasn’t into it. I tried to think of some book that would get me excited about an elephant theme, or an activity that would make the whole theme worth it, but nothing really stood out for me. So I thought, “Okay, so you don’t want to do an elephant theme. Choose a different theme.” So I sat down, opened up my Evernote account, browsed the themes, and said, “Eh.” And then it hit me: I want to take a break from themes. Now, if you had told me in 2012 that I would want to do away with storytime themes, I would have clutched my pearls and possibly fainted from the shock of it. I loved themes! I loved doing leaves and pumpkins and friendly monsters in the fall. I loved polar animals and snow in the winter. And rain and flowers in the spring. And, honestly, I still love those things and will probably return to them someday, but for right now, I’d rather have every storytime theme be: BOOKS AND SONGS AND ACTIVITIES THAT I LOVE!!! And as soon as I decided to do away with themes, I suddenly felt excited for storytime again. The books that I pulled for next week’s storytime don’t have too much in common, but I love them all, and I know that that’s going to show as I’m reading them. The activities have nothing to do with the books. But they’re fun! And while I’m still keeping the same opening and closing rhymes, as well as my trusty old rhyme cube, I am feeling pretty darn rejuvenated about this whole storytime thing. But what books did you pull for your non themed storytime?! You always have such good ideas. Good for you! This is capital H Hard to do! When I interviewed for my current position (way back in the 90s), I had an interview question about this. I couldn’t fathom not doing a theme. It’s how adult brains organize things. My boss says that kids don’t always think like that…and I’m not sure about that. This is what I’ve discovered about this: sometimes it’s best to have a theme and sometimes “What Miss Sharon fancies today” is the theme. But, if you want baby steps into the no-theme storytime, pick a book that is completely random and just throw it in. Sometimes “new Story collection book” is a good source. Nice post! Thanks Sharon! Funnily enough, I have been adding a random book to my themed storytimes for the past few weeks. It’s always good to shake things up a bit! I’m glad you feel rejuvenated after this choice. Since I’m commenting late, how did it go?? It went really well, actually! No one seemed to mind that there wasn’t a theme, and all of the books and activities were such a huge hit! I can’t wait until my next storytime! 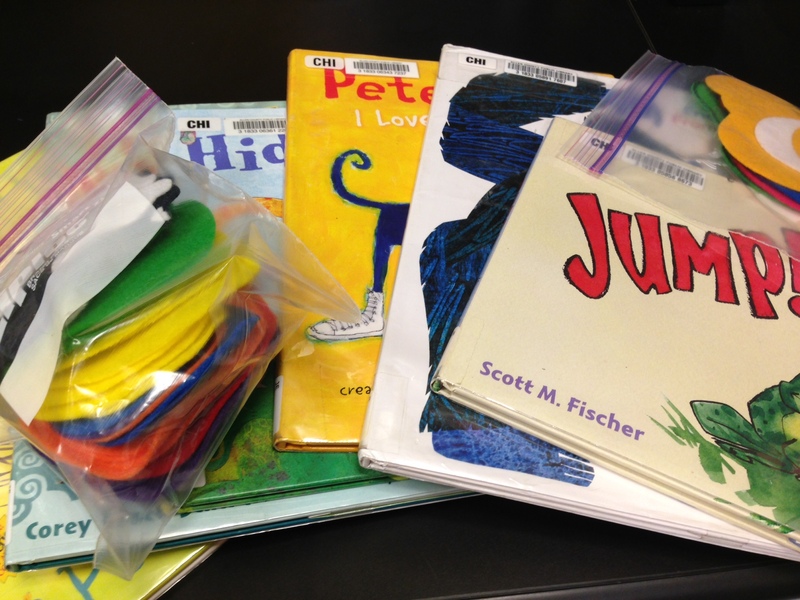 I am a teacher in a preschool and sometimes there is a common thread to our group times but we usually see it at the end as the children interact with the books and songs not at the beginning. It is empowering for everyone.